Ditmas Park is at the center of Brooklyn’s patchwork of diverse cultures, ideas and walks of life. Don’t believe it? Just ask anyone who walked by 1001 Newkirk Avenue on a Sunday in late October and happened to glance into the spacious venue. They would have seen Brooklynites of all ages and ethnicities speaking animatedly about the future of their community: a Pakistani tee, a Bengali mother and a pair of inquisitive students from NYU. These individuals and other had the privilege of being a part of a borough-wide political initiative called The Vision Project. In partnership with the Brooklyn Democratic Party, the goal of the Vision Project is to listen to and reflect on what the community wants. In essence, the initiative strives to change the policies and rhetoric of local elected officials by listening to what real people in real neighborhoods like Ditmas Park want to see happen in their communities. 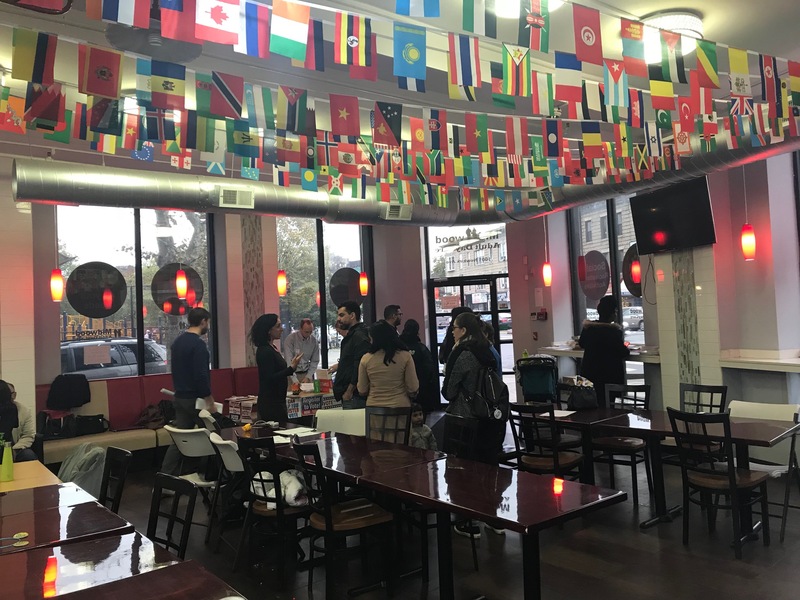 The October workshop, hosted by the Pakistani American Youth Society (PAYS) and titled “Underrepresented Communities Reimagine Brooklyn Politics,” invited residents to share how they believe citizens, leaders and the Democratic Party can improve. This will be one of many workshops in various Brooklyn regions. The interactive community forum opened with a five-point questionnaire asking participants to express their beliefs about the qualities of a good leader, a good citizen and an ideal society. The responses to these inquiries would later be discussed in pairs, and then in a larger group. Facilitators wrote down the community’s answers to the five questions and collected the answer forms to use as data. Workshops like the one hosted by the PAYS will form the basis for a summit which the Vision Project plans to hold a summit. The goal is to listen to real people’s opinions and needs so that Brooklyn politicians can do their jobs effectively. Many Brooklynites agreed that politics should be a collaborative effort between the citizens and local leaders. The general consensus is that leaders have to actively listen to their constituents if they want to serve their districts well. But is this happening in Ditmas? Most people say they are generally happy with what local officials in the neighborhood are doing. However, some participants disagreed. A facilitator in the workshop reviews responses from others in the community. These and other ideas filled the PAYS Center facility as the discussion developed. And perhaps the most prominent talking point was listening. At the close of the workshop, the center remained buzzing with activity. Participants stood around in groups, still eager to share and absorb new ideas for improving local government. 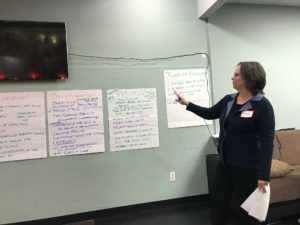 The people who participated in the workshop went away with something greater than more understanding of what the community wanted. They left with a vision for Brooklyn’s future. “Other people have a vision for you–if you don’t have a vision for yourself.” Pryor says.